What price would you put on your good health? How much money you would accept in exchange for your good health? Would you rather be a rich in money or have good health? Our health is something we often take for granted until it goes wrong. Prolonged illness can be a cruel reminder that good health is everything. What use are millions of pounds if you don’t have good health? (You may say you can pay for private healthcare but most would rather simply be healthy in the first place). 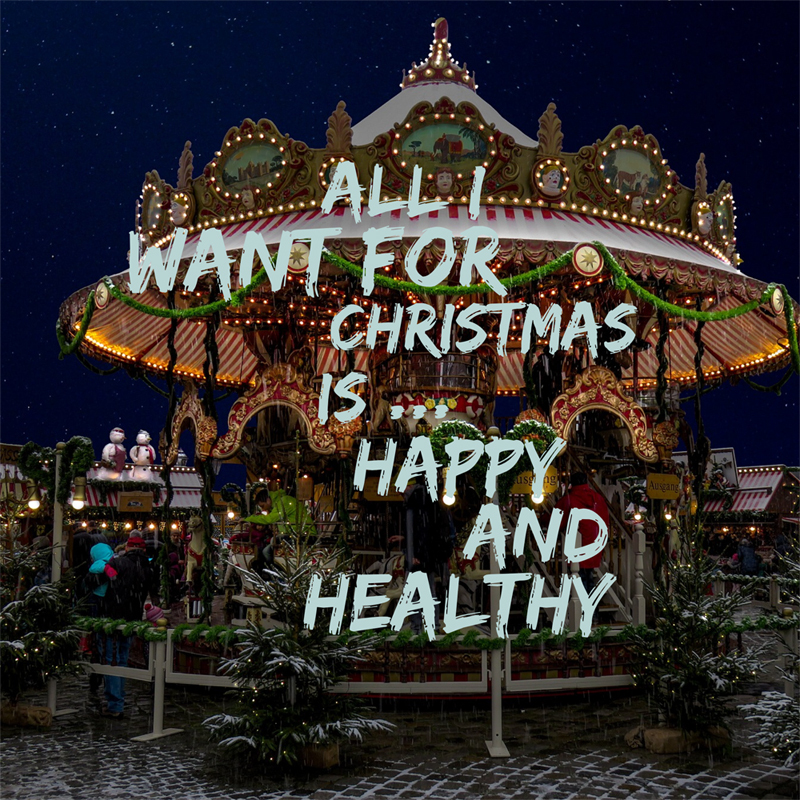 In my view, the greatest gift we can give our loved ones is the gift of healthy eating and lifestyle habits. Not at the foremost of our minds in the festive season as we’re seduced by fine festive foods, decadent desserts and chocolate, chocolate and more chocolate. However, fast forward one week from the turkey, trifle and trimmings and once again the world will be resolving to eat better, move more and get healthy. With less than a week Christmas, let me then share with you my firm festive favourites for a healthy Christmas all wrapped up. Nike’s Brasilia Kit Bag. Whether for running, gym or yoga – who doesn’t need a kit bag? With it’s versatile size, there are many more uses for this useful bag than just sweaty kit. For sporty younger ones, a junior version is available. SPIbelt Running Belt. Smaller but every bit as useful is this running belt. Available in a range of snazzy colours, the SPIbelt is a perfect sized belted pouch to hold essentials such as phone and keys. Gloves. It’s Scotland remember! When summer turns to autumn, gloves are ideal for keeping hands toasty warm on colder outdoor workouts. Soup-Maker. What better reward for braving the Scottish elements that a steamy hot bowl of comforting soup. Maybe not the most exciting gift to receive, but show me a time-saving devise to get me out of the kitchen and I’m in! Eat and Run by Scott Jurek with Steve Friedman. Jurek’s book is a gem of stories and advice on running, nutrition and motivation to inspire runners at all levels. A top ultra-runner who has won some of the world’s toughest races, Jurek opens up about his life and career as an elite athlete and a vegan. Post workout goodie bag or Healthy Hamper. Who doesn’t get excited at a surprise foodie goodie bag? Tempt your friends and family’s taste buds whilst introducing them to deliciously healthy post-running treats such as Pacario’s bean to bar fine dark Ecuadorian chocolate, Pukka’s sweet and delicious Peppermint and Liquorice Tea, moreish eat by the spoonful smooth creamy Brazil Nut Butter … and the list goes on. If you’re really lucky, they may be kind enough to share! Magazine Subscription. Extend enjoyment throughout the whole year with a subscription to a favourite health or fitness magazine. With everything from cycling to yoga, running to skiing, dropping through the letterbox on a monthly basis makes this a gift to last the year through: a proper treat. Last but absolutely not least, we have Lush sensual massage bars that smell so good. And why should adults should have all the fun? For little darlings, the promise of a bedtime massage is a guaranteed way to leave them eager to go to bed. The best presents I have ever received are simple, practical ones that I use often. I wonder whether any of these will make it onto your Santa list too! Get your daily movement. Whether it’s a family walk in the woods, ice-skating in Winter Wonderland or a stretch in front of festive TV, daily movement keeps us feeling good. Water, water, water. With all the enticing festive food and drink, remember to hydrate. Rest. Time to relax and restore – permission granted for binge watching! If you or anyone you know would like to enjoy a healthier 2019, let’s talk. Drop me a note here to fix a time to chat.